“African spirituality” emerging as a new pseudo denomination ultimately an extension of Eurocentric exoticifcation of Africa. We see the loose generalization of a “tribal Africa” with drums and Umbuntu and libation, divorced from the reality of a diverse Africa; drumming, chanting, libation are not the exclusive components of “African” spirituality. So African spirituality can only be authentic within these boxes in the minds of most. The over simplified echoes and fragments of authentic African spiritual experiences inadvertently are New World skeletons of deeper African symbolism. 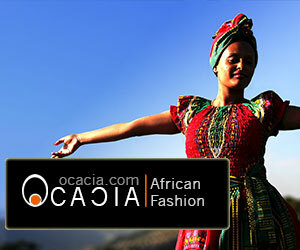 These trend have no reflective and seems halted in its own desires to promote a romantic image of Africa. But the downside is a loss of the depth of African culture, and therefore a lost of its diversity and intrinsic messages. Traditional African spirituality is three complex terms casually huddled together with very little reflection of the nebulous nature of the product it produces. Traditional relates to any longstanding cultural habits of any people, the traditions of the Lemba, the traditions of the Fula, nomadic traditions. African American traditional cooking, we start to see that the condition of “traditional” is not things native but longstanding. There is no way around this word. There are no semantic twist to make it say what it is not. In 200 years Kwanzaa will be an African American tradition. 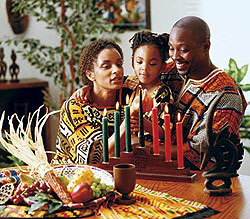 And we all know the roots of Kwanzaa are not on African soil, but yet on African spirit. The next term is African, and already we see the issues with this modern pan African term which hugs the post-colonial consequence of modern racism. A culturally plural people, with 9000 languages, distinct cultures, vast genetic difference, radically different histories all slung together into a monolithic term. 100% the term is valid, but do not go hanging ontological arguments on it. So with such a plural pool of people and their unique and similar histories how then do we arrive at a traditional spirituality which has some quantifiable connection unique not only to the continent but so purposeful it excludes Arabs in North and East Africa who have been part of that history for 1000s of years. What force could cause a “black skinned” distinctive connection? Spirituality takes earthy form when it is transmitted into religion; rituals, symbols, deities, taboos, laws, and musical expression. So spirituality is an energy, and like and energy can create light, fire, heat, motion, etc. So what determines spiritual? The culture of those who express it. Now returning to the plural heterogeneous term African one thing is sure, spirituality will be as diverse and as broad as African people are diverse. When people use these terms, traditional African spirituality, what they are struggling to express is a modernist metaphysical construction for those who rebel against mainstream religions but are of no particular African culture to adhere to. So it is suitable for the lost diaspora who with western anthropologist whom created it in the first place, into a Africa that a. Never existed, save in dreams and fairy tales, b. Would shun it if it was imposed. So cherry picking some umbuntu and liberally applying it anachronistically to historical Africa, mixing in veganism and other dietary cultures alien to the deliberate cultures of Africa, and generalizing it to all of African ideologies, taking libation, beating a drum (as if drum is the mascot of Africa – research shows it is not), and the ubiquitous ancestor worship, again this genre is courtesy of the European anthropologist, gives us a modern mix, a 21st century “best of native faiths through the anthropological lens of Whites refracted in the desires of the diaspora “, all disconnected from the deep cultural meaning and nuance of the cultures that produced it. Moreover it seems to set up some exclusivity as if ancestor worship is unique to Africa, as if animism is uniquely bound to the Eurocentric sub Saharan boundary. We now know all people’s produce cultures influenced by their environment, ecology, trade habits, nomadic vs sedentary and by their technological state, and their population density and their centralization of government. Inuit haven ancestors, Indians and Chinese haven ancestors, the study of human mythology shows despite our diversity we share a lot of commonality in our creation stories. Historically, the words religious and spiritual in European languages have interchangeable in describing all the various aspects of religious life. Gradually, in Western societies the word spiritual came to be associated with the private realm of thought and experience while the word religious came to be connected with the public realm of membership in a religious institution with official denominational doctrines. We need to trace the origins to this dichotomy and we find it in the counter culture of White liberals. Some think there is a stand-alone spirituality that is “better” than organized religion. So the notion of a private “religion” is a narcissistic nu-age reality brought into recent existence, it has no trans-historical roots in reality. It originates as a serious proposal only in European languages, and a social science study. Spirituality describes the world of super natural interactions—forces outside of traditional science. Like “Power,” it can be contained or expressed in a battery, a power plant, a fuel cell, or a nuclear reaction: It is the essence of energy. Religion is what holds, and defines, or makes “usable” spirituality in terms of functionality; It communicates between that realm and reality. African spirituality cannot exist as an authentic African paradigm as a standalone construction; it does not float in free space without roots in a specific African culture. The sense of a spiritual connection does not (in Africa) stand outside of an organized religious belief. When people say they are just “spiritual” they are saying they have a belief in divinity, but have no culture; no rituals, no communal responsibility, no structure — how is that being African? 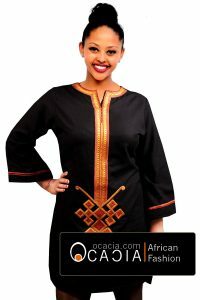 It is African elements without the discipline or loyalty to social or cultural structures. For example in Palo, participation in a community of Paleros is critical to growing spiritually and within the religious hierarchy. But some try to take piecemeal elements; ancestors, burning oils, and other cherry picked aspects of African religions and amass them into a heap called African spirituality, as distinct from the religions these elements come from. Despite the good intentions of many of these neo-spiritualist, this paradigm is an out crop of the trivializing and misunderstanding of things African; part of the legacy of Eurocentrism. It is a de facto new religion, without a name. But it is only a semantic debate; for all intents and purposes, practical and theological, they are the same thing. Because part of any paradigm shift is not to create things that do not actually exist in living Africa. All spiritual elements in Africa are expressed in structured ways, with defined deities, rituals, ceremonies, taboos and practices. Some don’t have actual names, and usually take on the name of the ethnic group; Masai for the faith of the Masai people, Kikuyu for the people and their faith. In Amharic there is no category called religion and then another category called spirituality. This is a Western home-grown debate locked in a individualistic, self-centered and rebellious culture. In Amharic the two terms exist within the same paradigm, and there is no concept of one without the other. In Amharic ሀይማኖት (religion) መንፈስ (spirit) there is no way to construct “I have መንፈስ but notሀይማኖት (religion).” The spirit is an essence, not a self-contained belief system which one declares allegiance to. It is tantamount to say my religion is “emotions” not Vodon. And this is not unique to Amharic, but Amharic is the best example because of the longstanding presents of both Christianity, ATR, and Islam in the region. Thus it eliminates confusion that the word “religion” is being used in some imposed fashion. With the recent emergence of spirituality as a distinct concept from religion in both academic circles and common language, a tension has arisen between the two constructs. 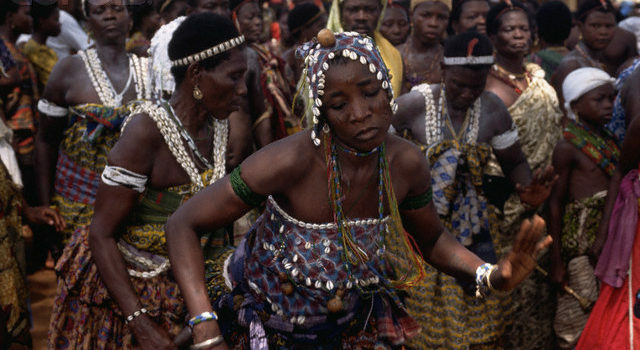 One possible differentiation among the three constructs religion,religiosity, and spirituality, is to view religion as primarily a social phenomenon while understanding spirituality on an individual level: A personal faith for societies who thrive on forming self-identities away from the group collective– an alien concept in Africa. The birthplace of this false dichotomy is exclusively Western and exclusively and only possible in individualistic societies. There is nothing in any part of Africa that is spiritual but divorced from institutionalized rituals which are transmitted in an organized fashion across the generations. It is therefore telling that African people will adopt this “Spiritual” stance in some revolt against what they see as “White man religion” or “oppressive religion” when it stands against some of the most intrinsic African values of community. Religion is the organization of spirituality into something that became the handmaiden of conquerors. Nearly all religions were brought to people and imposed on people by conquerors, and used as the framework to control their minds – John Henrick Clarke. There are some fallacies in the Clarke’s rhetoric: Religion is not exclusive to conquerors’ the two are not caused by each other, or dependent upon each other. Clarke is speaking about an African-American experience in Christianity. Most religions in Africa are not imposed on anyone, by anyone. It also ignores and marginalizes the capacity of African people to also formulate religions. A blatant rejection of African agency and this habit of painting Africans as perceptual victims. It also stands in disagreement with the multitude of circumstances around the world where communities select religions they deem beneficial to their interest. (Christian Ethiopia, Islamic Rwanda, etc) It is also very strange to split religion from spirituality when you consider the largest religious structures in the world are found in Africa—the pyramids of Egypt and Sudan. On the issue of “control their minds” we see another classic misunderstanding. There is no way you create anything, other than a hunter gather society without systems of control. Human are a social group and have imprinting behaviorism (we live in dense societies by socialization which involves group control), that process of imprinting is done by attaching ourselves to group ritual, routine, shared belief, shared governance, leadership—that is how societies function—that is how city states and empires form, and stay formed. The suggestion of control is therefore moot, as no complex society functions without national control, national personalities which are ultimately guided consciously or unconsciously. The issue of control shows that religion is just one tool, it is not the only tool, and certainly not the most effective when dealing with plural populations who have other heavily institutionalized beliefs—like Europeans trying to conquer and colonize Muslims for example. Control therefore uses all systems, habits, traditions, cultures, polities available to exercise its interest. Religion in any configuration cannot be isolated and given some special weight, in an attempt to build a case for some uncontaminated “spirituality” which is exempt from being exploited. There is zero interrogation of terms and definitions which hug so much of our ontological self. And we come up broke, short changed, unable to apply these identities in the context of empowerment and creative contribution. Because securing self-interest and having true agency comes from the confidence in the continuity of self-identity in the constancy of the surrounding social and material environment. And if “African spirituality” is an authentic identity–as oppose to a category of many plural and sometimes disparate religious beliefs, then this will never survive against a defined identity. But then what are you? What is that? Because It is not Islam, it is not Christianity, it is not Vodon, it is also not Serer, it is not the native Oromo religion, it is alien to the Maasai faith, etc etc. Because nowhere in modern or ancient Africa can you find what they believe in. So it is a patch work of unorganized pick-as-you-go belief system in everything they desire. It is a modern reaction to a world firmly defined. Because for all the African Spirituality, they do not follow most of the traditional rites found in Africa (maybe libation, and drum beating). Its a problem, because it does not ground you in any integrated belief system. It has no theme, not ideological core which is found in every belief system throughout the world. In a nutshell it is an identity by negation. In concluding if we search for truth, then we must not enter into new myths, especially when the root of those myths are the creations of ignorant Western anthropologist. There is no sin in creating new diaspora faiths, but let us leave of the romance and pseudo historical origins and notions of authenticity. They are certainly not authentic expressions of anything African, and actually compound the trivialization of African culture. If we have this caveat in place we can have a fuller authentic African experience free from delusions and confusion. Why do you feel we have to be bounded by a couple of laws or doctrine in other to expliot spirituality, the African believe systems is a pure and untampered system because it doesn’t allow one man or a couple of people to define what it is. The diverse form of african belief systems is due to the diverse forms of need the african man had to meet to survive,there were so many unanswered questions and uncertainty he provided answers by himself and hold tightly to them, for him there is no reality where his answers wrong,if his beliefs allow him to move within spaces… He moves within spaces, In africa a man could have several. . dieties or idols and a village could consist of the several families with their different deities and will coexist well. Spirituality is a function to the conscious and sub conscious mind, and this functions can be accessed through the use of belief, africans has the strongest forms of belief (their vague beliefs are their Primary beliefs) and that in turn shapens their reality.